FASTRAX Ltd, represented in Australia by Glyn High-Tech Distribution , has released the latest generation of the company's industry-leading receiver products, the iTrax03-S.
With its tiny form factor and ultra-low power consumption, the Fastrax iTrax03-S receiver is suitable for a wide range of demanding location-based applications. It is packaged in an extremely compact 16mm x 19mm surface-mount module. The design eliminates the need for expensive and labor-intensive system and RF connectors. With fewer on-board components, device cost for manufacturers is reduced considerably. The addition of an antenna and power supply is all that is required to make the iTrax03-S operational. The iTrax03-S has a very high navigation sensitivity of up to –153dBm, making the receiver suitable for use in difficult urban canyon environments. With its ultra-low power consumption of less than 95mW at 2.7V, the iTrax03-S is one of the most efficient 12-channel OEM GPS receivers on the market. Power management can be configured by the user. 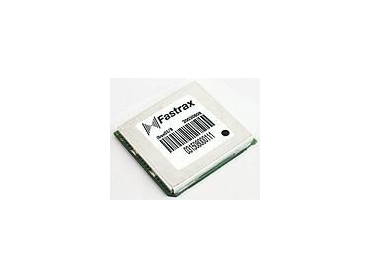 The iTrax03-S is fully programmable with the Fastrax iSuite Software Development Kit (SDK). The programmability of the receiver, along with its 8MB flash memory, allows custom applications to be executed on the receiver's baseband processor, eliminating the need for separate CPU and memory chips. The firmware and application code can be upgraded remotely when necessary. * iSUITE3 SDK Software Development Kit. The iTrax03-S is available now from Glyn Ltd or the nearest Fastrax distributor. For evaluation kits, please contact Dean Sarelius at Glyn Ltd Australia or the local Fastrax distributor.